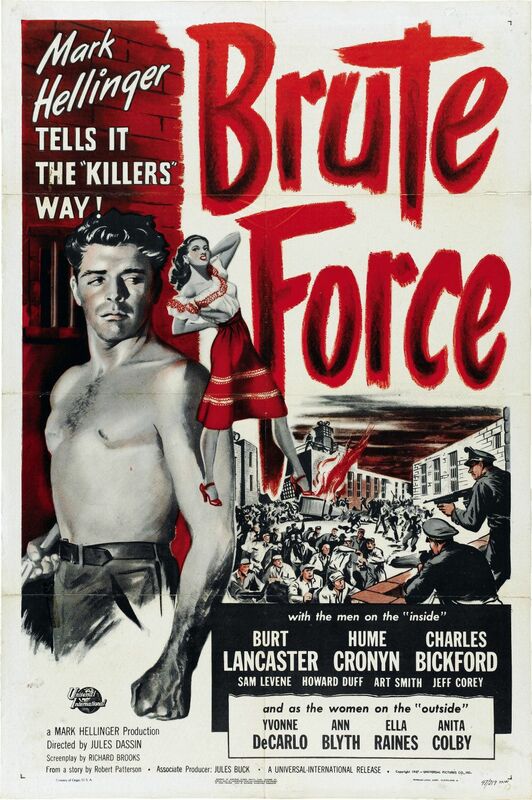 Brute Force – Did You See That One? Joe Collins (Lancaster) is looking for a way out of prison. 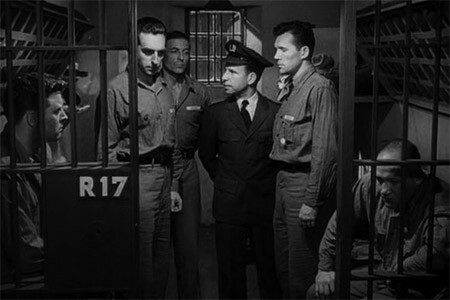 His desire to escape has been magnified by the brutal treatment the inmates have received from Captain Munsey (Cronyn). This is one of several film noir projects directed by Jules Dassin (Pote tin Kyriaki) after the end of World War II. This one is based on a story by Robert Patterson (Rebound), with a screenplay by Richard Brooks (Blackboard Jungle). 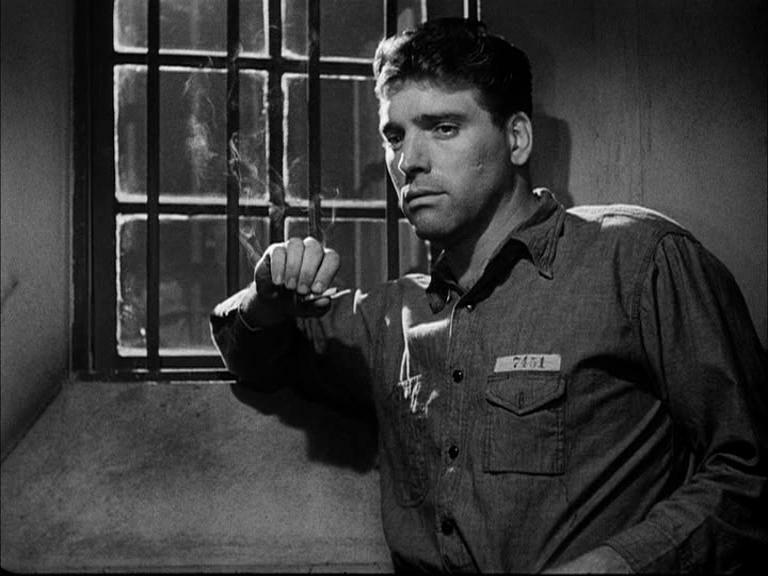 The movie stars Burt Lancaster (Sweet Smell of Success), Hume Cronyn (Cleopatra), Charles Bickford (The Song of Bernadette), and Art Smith (Quicksand). This story dives right into the gritty world of Westgate Prison and the lives of the motley crew of inmates. The tone is set up front with a series of scenes that serve as the catalyst for the rest of the film. This darker tone really works well with the setting, and the story has enough twists to stay interesting throughout. Like some of the best movies in the genre, this one quickly blurs the line between good and evil. The questions of right and wrong also become muddier as the story expands. The writing uses a lot of dialogue which can feel a bit overdone at times, but it also has some great moments as well. Overall, this is a solid story that understands the conventions of film noir. For today’s audience it might be a bit predictable, but this still rises above some of the more simplistic examples of the genre. 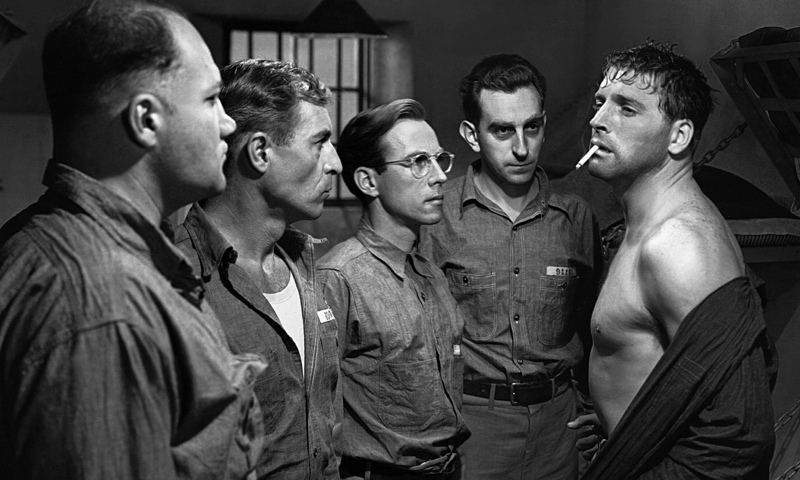 The acting in this film elevates a solid screenplay thanks to the performances of Burt Lancaster and Hume Cronyn. For Lancaster this is another solid performance from his incredible career. His role called for an intensity that seems to come naturally to him. Much like his performance in Sweet Smell of Success, his physical expression is as important as his delivery of the dialogue. He’s able to capture the mix of emotions needed for his imprisoned character. 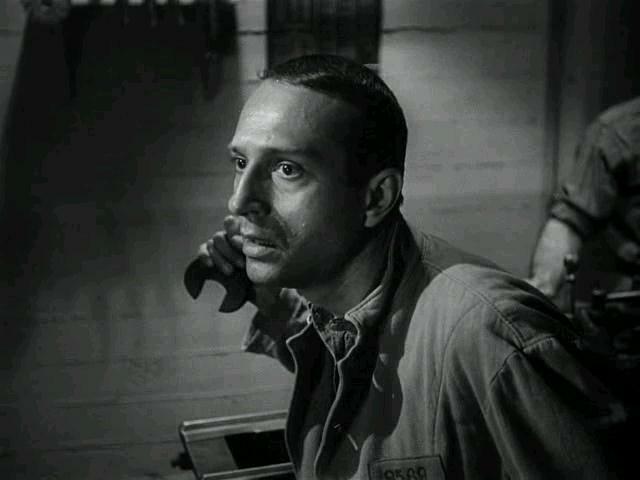 Hume Cronyn also does a great job playing the antagonist in the film. He’s able to put together a performance that leaves no doubt about the nature of his character. This is essential to maintaining the tone of the story. It also helps to balance out the actions of the other characters. These two men also have good chemistry in their scenes together. 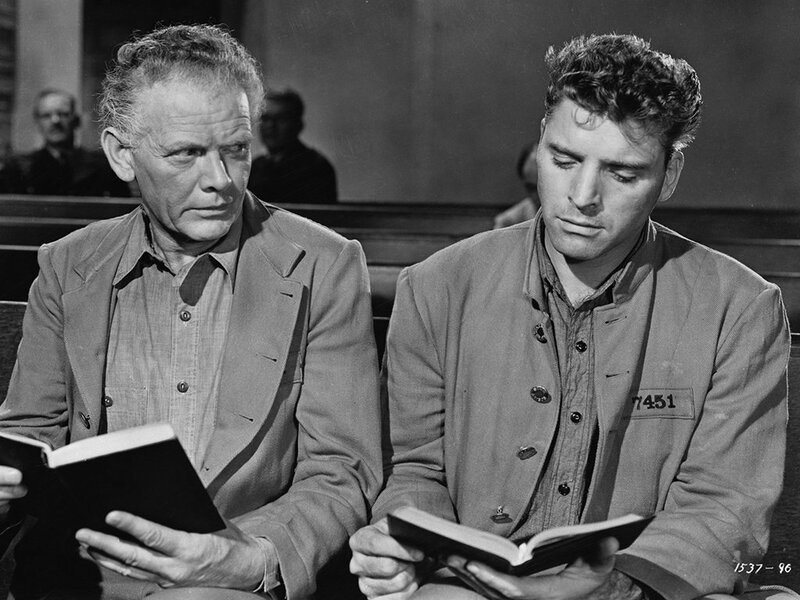 Charles Bickford and Art Smith also do great work with their roles in this film. Bickford plays an interesting character and his performance brings out some great personality traits that add something nice to the film. Art Smith also does a great job in a role that is seemingly outside of the story. While it’s not a narrative role, it seems to be built to address the bigger picture throughout the film. Smith is able to turn the part into something essential to the story. The rest of the cast around these four also does great work. Film noir requires a unique visual stylization to really pull off the gritty nature of the stories being told. This one found the right look thanks to cinematographer William H. Daniels (Harvey). His camera work combines seamlessly with lighting and set design to bring the prison to life. The use of light and shadow helps to keep the intense and harsh nature of the setting intact. In addition, the sets and camera work help to create the claustrophobic feel that the movie needs. Adding in the score by Oscar-winning composer Miklos Rozsa (The Lost Weekend) only helps to elevate the film even further. This film is a nice example of the way acting and visuals can elevate written material. While the story isn’t weak, it might not have been nearly as interesting if the production wasn’t executed well. Fans of film noir should make sure to check this one out. I would also suggest this one to fans of the stars. This is a gritty story, and like others in the genre it doesn’t play for a happy ending. I give this one 4 out of 5 stars. Pingback: The Big Country – Did You See That One? Pingback: Night and the City – Did You See That One? Pingback: In a Lonely Place – Did You See That One?